Collaborating with Pols Potten, who produced the Hand-le, the designer had the idea and presented the project in London 2006 during the London Design Festival. It was really successful. 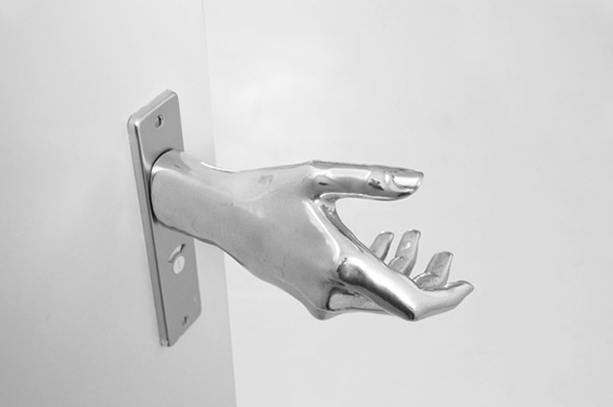 The handle is made of aluminum and imitates a human hand perfectly, which can be scary for some, but amusing for others. 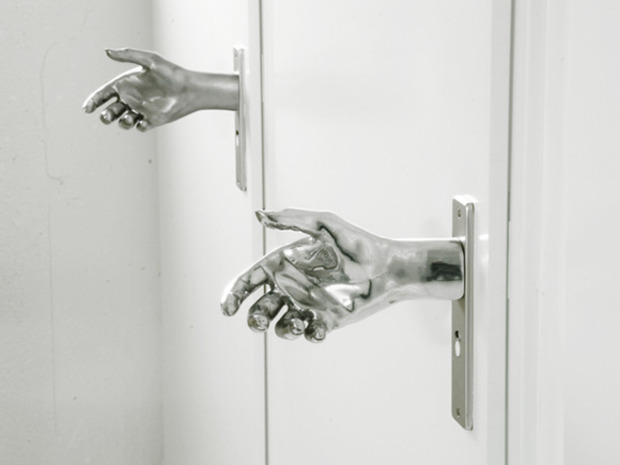 Door Hand-le by by Naomi Thellier de Poncheville.